Happy Easter Weekend! I love getting into the spirit of any holiday, and my baked goods always have to reflect the occasion! 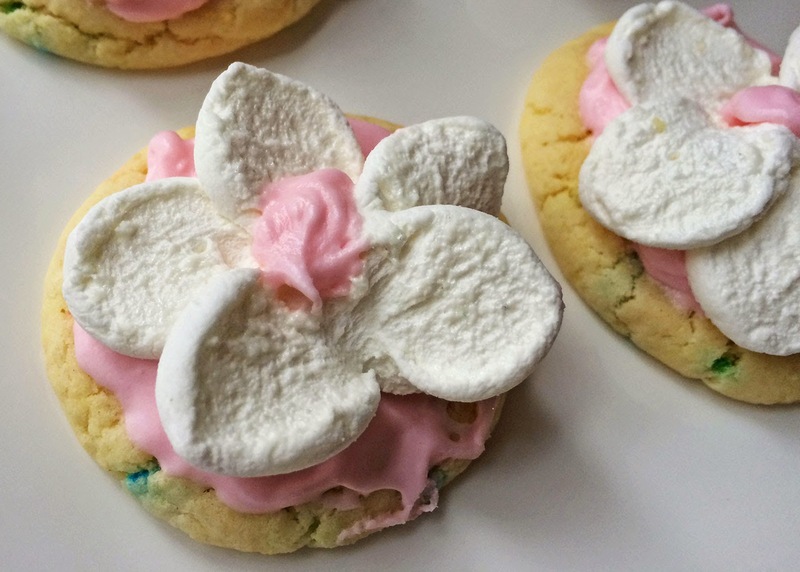 A few weeks back, a friend sent me the cutest how-to video for making flowers out of jumbo jet-puff marshmallows, and I knew I had to incorporate it into one of my Easter treats! It didn't even take me 10 seconds of thinking before my mind jumped to Pillsbury Funfetti Cookies. Have you ever tried them? They're super soft, melt-in-your-mouth cookies that taste exactly like cake, but get even better after you top 'em topped with creamy, colorful frosting. Can you say "perfect background for marshmallow daisies?!" If you watch the video below, the baker uses aerosol food dye to make the flowers different colors - I don't know where the heck that baker found it because I scoured the grocery stores around my town with no luck! After a failed test attempt to dye the flowers with regular food dye (which Howie deemed "scary-looking"), white daisies became the goal. Ya know, minimalist? I still think they're really cute! 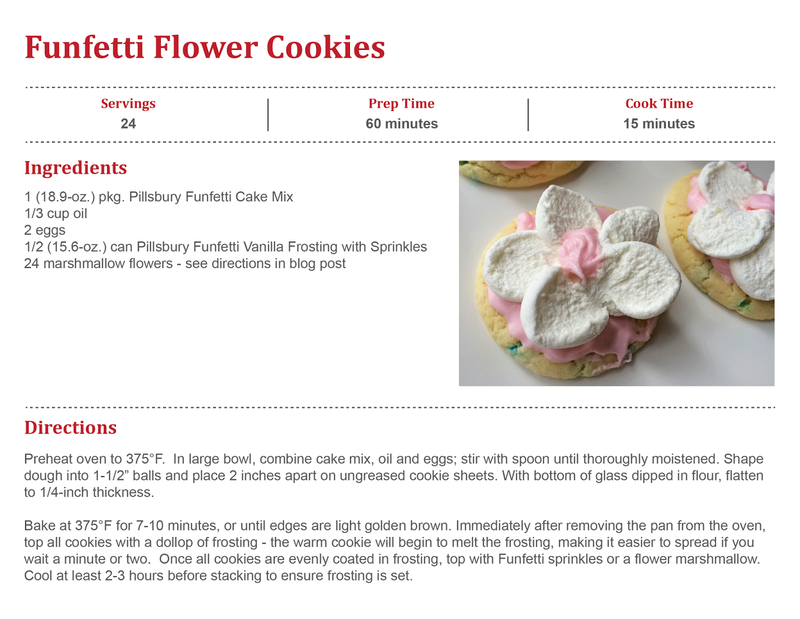 Try making Funfetti Flower Cookies this weekend for Easter, or even for your next birthday, bridal or baby shower!